OMG Posters! » Archive "Black and White and Read All Over" Art Print by Joe Ledbetter - OMG Posters! Joe Ledbetter originally released this new art print on his recent European tour, but he brought a few home for us internet addicts. 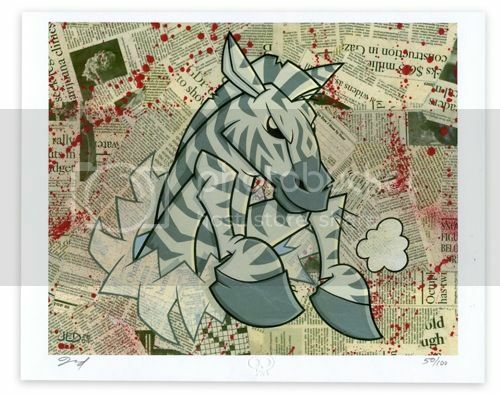 “Black and White and Read All Over” is an 8″ x 10″ giclee, has an edition of 100, and is $35. Visit JoeLedbetter.com. Great Print for Joe. Even a bit of a departure from his previous works. Can’t hate the price as well. Especially for a giclee. Agreed Tom W! Big fan of all of his work but it’s nice to see him do something a little different. Love it! Bought it!